Presented by: Be an Angel Therapy Dog Ministry Inc. 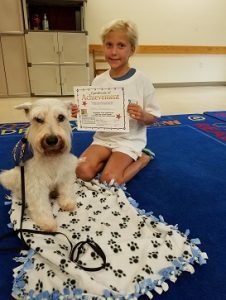 The main objective of this program is to provide a relaxed and “dog-friendly” environment, which allows children to practice their reading skills. Many children who love this program have a low self-esteem and are self-conscious when reading aloud in front of their classmates. By sitting next to a calm and gentle therapy dog and reading all threats of being judged or criticized are put aside. 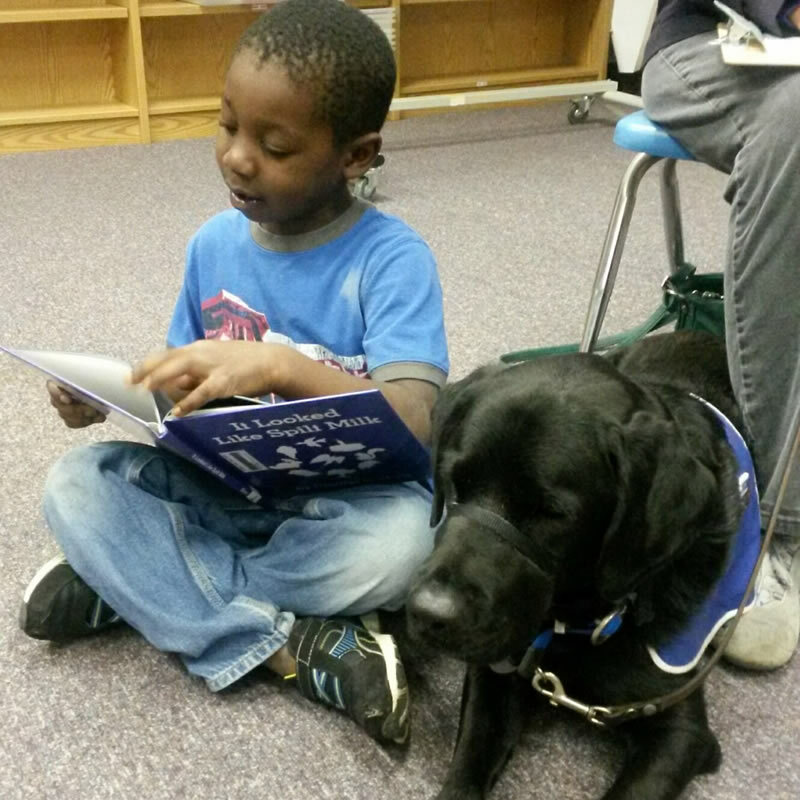 The child relaxes, pats the attentive dog and focuses on the reading. Reading improves because the child is practicing the skill of reading building his or her self-esteem and associating reading with something pleasant. Improving the child’s skill of reading is the major benefit, but there are many more positive benefits that arise from this activity. It builds excitement about reading. 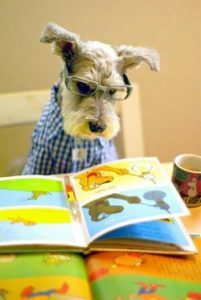 Many children talk about going home and reading to their dog, or other pet. Children soon associate reading with being with a dog, and begin to view reading in a positive way. 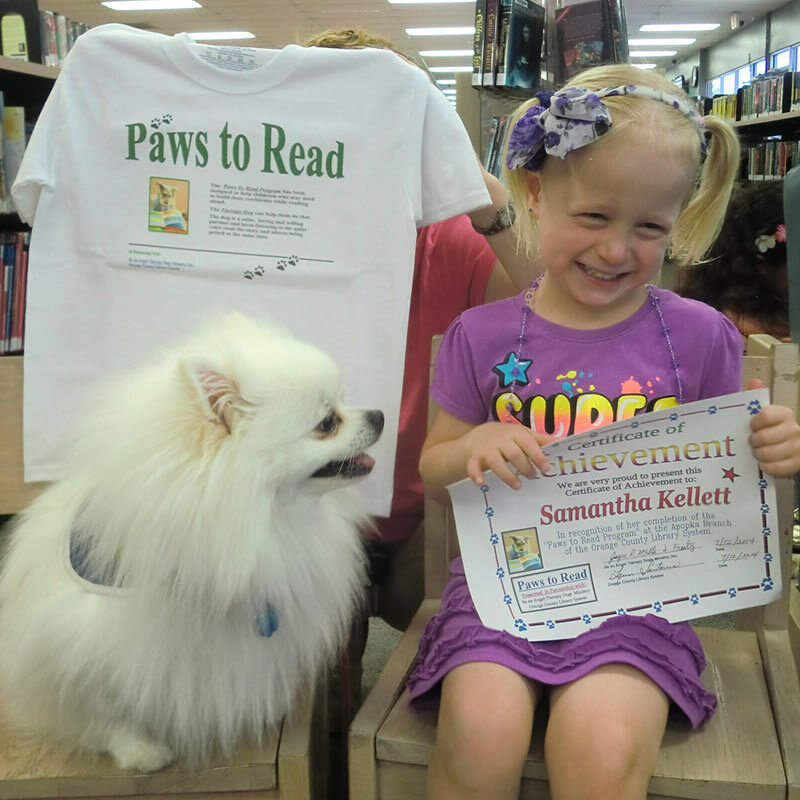 What better way for a child to improve their reading skills than to practice reading to a loveable therapy dog? 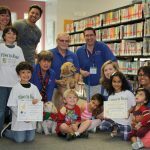 By the dog being there, it encourages children to read by providing a non-judgmental listener and furry friend to read to that won’t laugh at them if they make a mistake or stumble over a word, but rather lie next to them and enjoy the story being read to them. Another benefit is the joy children get from being around a dog; children seem to naturally love animals, especially dogs. Imagine the positive motivation this gives to a child as they sit by, read to, and pat a calm and gentle dog. Unfortunately, not all children feel comfortable around dogs; some have not had an opportunity to be with dogs and consequently are afraid of them by doing this program and interacting with the dog, they gain understanding of how to approach a dog, and eventually become very confident and relaxed around them. The handlers also benefit from doing this program and giving back to their community and helping children become better readers, which in turn they become better students and more productive citizens. 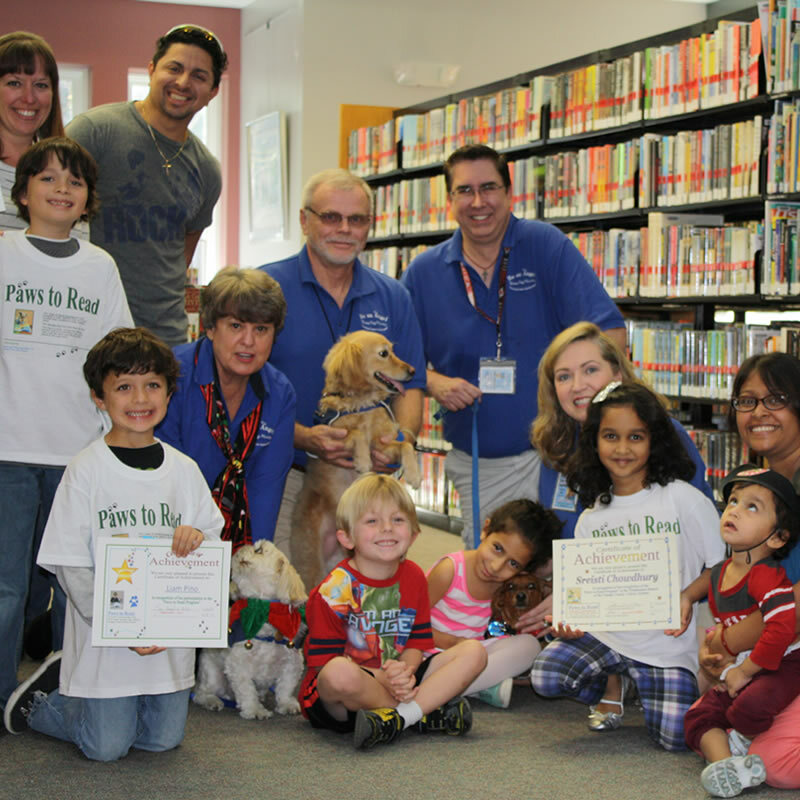 Donations will help us expand our Angel Paws to Read Program incentives for kids and host giveaways in the community. Visit our Donate page to learn about how you can help.